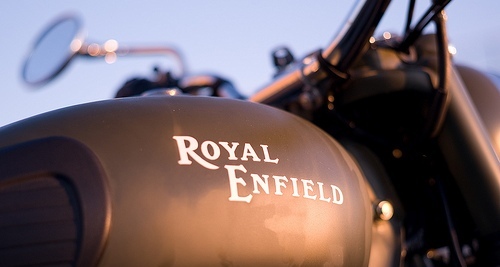 The annual three day congregation of Royal Enfield enthusiasts from all over the world, Rider Mania 2012, concluded recently at Vagator, Goa. A total of 1600 fans, 1000 of them being riders made this the biggest ever Rider Mania in the history of the company. The highlights of the first day was the slow race that involved a lap around the race track in the slowest possible time and the Figure of 8 team race, where teams set their fastest lap times on figure 8 shaped track. On the second day it was time for the Assembly Wars and Dirt Track races in both 350 and 500cc categories. A four-member event, the Assembly Wars requires participants to remove and then reassemble parts of their motorcycles. The Dirt Track requires riders to slug it out on a purpose-built track. The last day had the Cleanest Bike, Lemon and Spoon race, Popular Custom Bike awards and the Celebration Ride. Javeen from Kerala won the Popular Custom Bike award with the maximum number of votes for his ‘Egg bike’. The Rider Mania 2012's musical entertainment featured the Raghu Dixit Project, Mumbai band Zedde, and electronic duo Shaa’ir and Func who did their bit to keep the bikers’ spirits rocking.